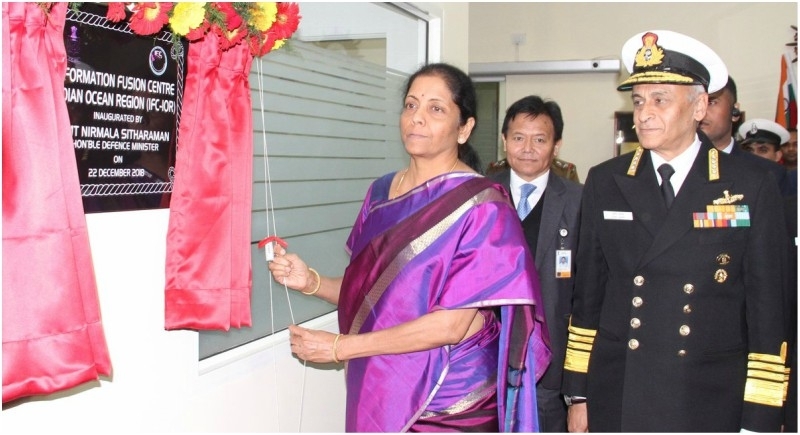 Speaking at the occasion, Defence Minister Nirmala Sitharam said that the need for setting up the IFC-IOR was to escalate world trade and security. All stakeholders are equal in this maritime security and safety milestone. The IFC has been established at the Navy's Information Management and Analysis Centre (IMAC) at Gurugram which is the single point centre interlinking all the coastal radar chains to generate a seamless real-time picture of the nearly 7,500-km long coastline. The IFC aims to bring various countries in the region and pool in best practices to jointly monitor the vast IRO which is increasingly becoming the theatre for contention between great powers apart from increase in natural disasters and trans-national threats like piracy, terrorism and trafficking. According to Navy officials, all countries that have already signed White Shipping Information Exchange agreements with us, about 21 of them, are IFC partners and can post International Liaison Officers (ILO) at the centre. Atleast 10 countries, including US, France, Italy and Japan, have expressed in posting their officers. “It is for equals, it is for partners,” Sitharaman stated. The centre will be tracking and monitoring 75,000 to 1.5 lakh shipping traffic in the IOR in real time round the clock. To begin with, the ILOs will have a virtual presence at the centre. In the near future, Navy is looking to host additional International Liaison Officers adjacent to the IFC-IOR for which creation of infrastructure and manpower is being worked out. Indian Navy is mandated to conclude white shipping information exchange agreements with 36 countries and three multi-national constructs, the first of which India joined earlier this month in Italy, the Trans Regional Maritime Network (T-RMN).